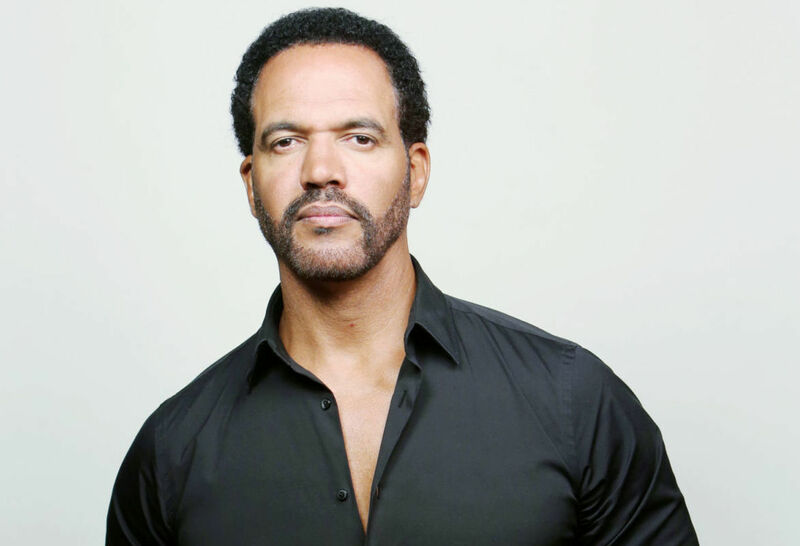 In heartbreaking and difficult news for us to deliver this morning, in a report via TMZ, our beloved Kristoff St. John (Neil Winters) of The Young and the Restless was found dead in his home on Sunday. Law enforcement sources say that one of Kristoff’s friends went to check on him at the actor’s home in San Fernando Valley, and he found his body. Police and paramedics were alerted, but Kristoff was unresponsive when they arrived, and he was pronounced dead at the scene. Sources say alcohol may have contributed to his death, but they did not suspect foul play. In additional updated information, the Los Angeles Police Department confirmed to PEOPLE, that a death investigation took place at around 2:05 pm on Sunday for a possible alcohol overdose. St. John was found dead at a home in Woodland Hills and was pronounced dead at 4:02 p.m. An autopsy is scheduled for Monday. St John was one of the most noted actors of the soap genre. He has played Neil Winters on the top-rated soap opera sine 1991. During his run he garnered 9 Daytime Emmy Award nominations, was a two-time Daytime Emmy winner, and also received ten NAACP Image Awards. Kristoff, who had already been an actor in his younger years. became a bigger name when he appeared on the defunct NBC soap, Generations. That soap centered around an African-American family, the Marshalls. Krisotff played the role of Adam Marshall. He then came to Genoa City to play Neil Winters. In his personal life, after his son, Julian took his own life while getting treatment at a mental health facility, St. John and his ex-wife Mia, became advocates for mental health awareness. The talented actor left behind two daughters, Lola and Paris. More on this developing story to come. Share your condolences and thoughts on the passing of Kristoff in the comment section below. So sad. He was a talented actor and a class act. He will be missed! I am absolutely HEARTBROKEN to hear about Mr. St. John’s passing this morning. I know he’s struggled since his son’s unfortunate death in 2014, and I am hoping that he is now at peace and with his son. My condolences to his family, friends and co-stars! This is a huge loss to the daytime community! I completely agree with you Scott. Who is ever “right” again after th loss of a child? My condolences to his family and the Y&R family May he finally find the peace he was looking for. Totally shocked. Kristoff shared a lot with his fans, not only his talents on YR, but his keen sense of humor with those crazy dog clips, and his personal struggle after Julian’s death. He was a warm and generous person and will be missed. God bless his family. I cannot believe this! I hope he has found the peace thag alluded him. He was not the same after his son committed suicide. Such a tragic ending. I hope Y&R respects his legacy and does NOT recast. They should release Lily from prison and bring Malcolm back full time. Recast of course. RIP and thank you for years of entertainment. Another downside is we will never see Drucilla Winters on camera again. Very sad day. I agree , Richard: no recast; plus, I also thought of the fact that , Neil and Drucilla won’t re-unite. I’m in shock, Kristoff was such an AMAZING actor and was very kind. The soap world will be remembering him today and for years to come. Goodbye Kristoff I know you’re with your son now. You will be truly missed. Terrible shock. So heartbreaking. His suffering is over. I’m so sad for his daughters. So devastated to hear of Kristoff’s passing. You could tell his pain was so unbearable after the loss of his son. I, like everyone else, was rooting for him after his last break at Y&R to deal with his struggle. So tragic. Will miss seeing his face on Y&R. The love he showed for his family on Y&R was so real. Rest in Peace. My heart hurts. He was a fine actor, and a lovely man. My deepest condolences to all who knew him. So sorry for your loss! He will be missed ! Prayer for your family. Very sad news. My condolences to the Y&R family. I just know Mr. St. John had to have been a well-loved and highly regarded colleague. Viewers and fans will miss him greatly too. Stunned & saddened by this news. So sorry, what a loss! Rest In Peace. I am so sorry to hear this news. My sincere condolences to his family, friends and co-workers. May he rest in peace. Prayers for his family, relatives, friends and colleagues. My deepest sympathy goes out the the family, and to all at the Y&R Family. I’ve been a fan for years!!!! This is horrible news. Such a sad loss. My thoughts and prayers are with the family, friends and co-workers. The fans loved you and the winters family you helped create on y n r! Best memories watching you as the classy smart Neil dealing with your no good bro back in town,Malcolm, your epic love with Drucilla and how you and her educated sis Olivia fought eachothers attraction. The Winters and Barbers will go down as soap royalty. And Neil will never be forgotten. Condolensces to your family, friends and us fans!. My heart is broken! May God bless Kristoff’s family. So Sorry for your Loss !!!!! Y&R Fan , Praying for the Family !!! This is just too sad to know what to say. I keep hoping it’s a misprint. A wonderful man. A super actor. RIP Neil Winter’s you will be missed! Absolutely shocked when I saw the email from People.com. So sad. I thought he had turned his life around. I wonder if there are more scenes with Neil on Y&R. So sad and I feel for his Y&R colleagues. So sad. They will never be able to replace Neil Winters! Oh, my god. This is so sad. This man had been going through so much pain over the last few years. I just hope he is at peace now. We’ll miss you, Kristoff. He will be sadly missed. I’ve watched him for years. Such a talented actor. Gone but never forgotten. Rest in peace and God bless. I am incredibly saddened this news. May he RIP and my condolences go out to his family, friends and the cast, crew, producers directors and writers of #YR.
What an amazing,talented actor,and I am sure an amazing father,and person .My heart goes out to his family. He was right when he said that grieving ones child is a process .It begins when they die,and ends when you join them .My heart really does break for him,and that he had to live day after day in pure agony after losing his child.I personally know how that feels after losing my daughter at age 19 .I send my very deepest condolences to all loved ones…You will be missed ….. He talked me down when I thought of offing myself , why did you have to go. Will miss our conversations !Kristoff see you when I get there ! So so sad we will miss you you were so good on the young and restless.R.I.P. my friend. I have watched the soap for 4o years and still do. My thoughts and prayers are with the St.John family. Kristoff will be truly be missed. My thoughts and prayers go out to Kristoff’s family and friends. Rest In Peace. Unspeakably sad. I remember the first day a fresh faced Neil Winters entered the doors of Newman Enterprise. Drucilla had her sights on this handsome, brilliant young man from day one and took ballet lessons in order to win his heart. So lovely, Harry….and so fitting. I couldn’t sleep, so I was just browsing through my iPad looking at pictures of my Alma Mater on the internet, when I noticed the announcement, on the sidelines, from the corner of my eye. I thought to myself: Nah– can’t be!! So, I quickly went to the MF site; certain I would find a “Requiem”—and, here it is!! Poor Kristoff must have been struggling with his demons since his son died, to have drunk himself to death……They are now together!! I can’t catch my breath!! This is so so sad. May he rest in peace and may our Lord give strength to his loved ones. Stunned to hear about Kristoff St John. Condolences for family,friends. Gone way too early. Great actor. So much for him to deal with suicide of son. Alcoholism, drug addiction, depression and other mental health issues are becoming epidemic. Need more treatment options and public education to view all of above as serious medical and psychological issues. Like everyone that has read this shocking news, I am without words. I’ve watched Kristoff for years and have been recently dismayed when his storyline slowed once he returned back to work. He always seemed, from reading interviews with him, to be a very genuine and loving man that had a soul for those he loved. Prayers to his family, friends and the coworkers that he left behind. I know he touched everyone around him and can only imagine their shock and pain. So sad! My heart is breaking! This is so tragic. Sincere condolences to his family. Holding you all up in prayer and picturing Kristoff and Julian together in love. I am so sad and heart broken to hear this sad sad news. Love and Prayers to his family and friends. I will miss seeing him on Young and the Restless he was part of my media family who I watched grow up to be a man. So so sorry.